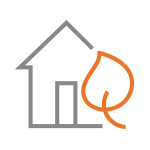 Start or Stop Your Natural Gas Service | Spire Inc.
We’re here to help. Explore the options below. I want to begin gas service at my home or business. Or, I want to add a new location to my account. I don’t need natural gas, or I’m moving, and I’d like to stop my service. I’m moving and I’d like to transfer gas service from my current location to a new address. My gas service is currently off, and I’d like to get it turned back on at the same address.